To protect your home against elements, you need to install gutters. Melting snow and rain consistently falling on the foundation or on the wall can cause great damage to your house. Besides, it can cause soil erosion, which is also a threat to the foundation of your house. The best way to protect your house is diverting the flow of water to a less harmful place. Gutters are irreplaceable in home safety. However, not every gutter is suitable for your home. There are multiple styles and materials used to construct gutters. It is also important to consider budget when considering a suitable gutter to install. It is important for you to consult and make an informed decision depending on the design of your house. Why you need professionals from Smart Gutter Solutions to install your gutters! Gutters installation might seem and obvious but you should engage an expert to make sure it is a long lasting investment. Gutters vary widely depending on your budget and type of your house. Before you order any gutter, you should be sure the material and design fit the design of your home. Most importantly, they should be of high quality. Poor quality means you will spend much on repairs and replacement regularly. Fixing gutters the proper way ensure they do not fall on you or damage your property whenever there are extreme elements. Engaging professionals help you stay secure. If your foundation has been damaged or your basement regularly gets damp, then you know why gutters are important. However, installation of gutters goes beyond familiarizing with the importance. You need to know considerations in the choice of gutters. The design of your roof and environment determine the suitability of gutters. Making the right choice guarantees you protection from elements and a long lasting home. You will no longer have to deal with destroyed sides and soil erosion. These type of gutters are also called seamed. They are sold in pieces; you have to patch together for a complete gutter to protect your home. Depending on the nature of your home and type of roofing, the pieces can be patched together to form one large system. The connection is established by adhesive forces. 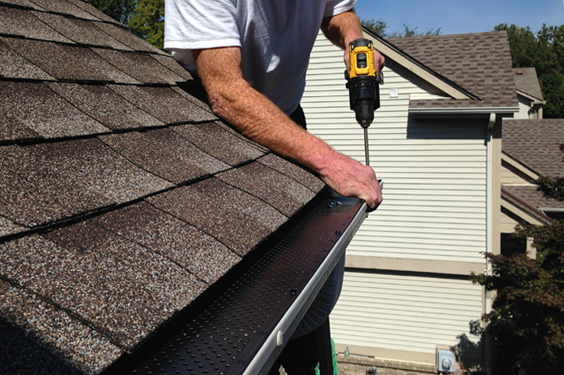 Usually, the gutter system is installed in at least 10 pieces. The maximum number of pieces is 20. You are free to choose the number of pieces of gutters depending on the size of your house. Sectional gutters are suitable for any type of house. A hacksaw is used to cut the pieces to match your exact fit. They are easy to install. In fact, you can install the gutters on your own. However, you need the expertise to fix the pieces. If not fixed properly, they can easily separate and leak hence defeat the purpose of gutters. Seamless gutters are easy to install. The gutters are cut from one big piece; no joints or fastening is required to keep the gutters in place. They are fixed by adhesive force on both ends. You need a professional to cut it to a suitable length depending on the size of your home. The material is tough hence the need for professional cutting if it has to be reliable. The fact that there are no seams means you should not worry about leaks. They are long lasting and effective. 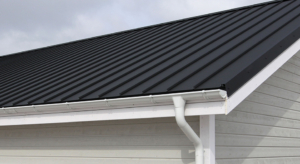 The gutters are suitable for specific roofing styles. The roofing style has to defined; using a hacksaw won’t work in this case. You have to be definite with the lines. Seamless gutters are less prone to damage or blockage from debris and ice. There are fewer maintenance costs and cleaning involved with the gutters. Seamless gutters are made of quality material. Considering that it is one piece, it is less prone to damage. The tough material cannot break or leak because it is one consistent material. Which Gutter materials are best? The type of material on your gutter determines the effectiveness and durability of the gutters. 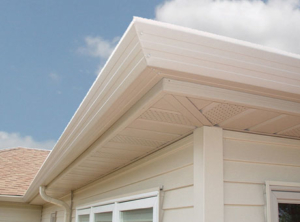 When choosing gutters, the type of material should be a priority. 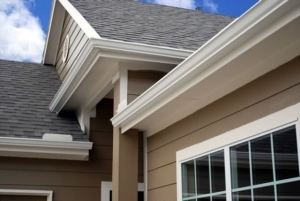 The type of roof and fascia wood on your home also determines the suitability of gutter material. Copper is a favorite for most homeowners because of the sturdiness and resistance to rust. Copper is durable as compared to most other materials. Besides, copper can withstand pressure from any falling debris that weakens its ability to sustain water and redirect to a proper place. Also, copper has cosmetic value; they enhance the beauty of your home. Aluminum material is popular because of its waterproof feature. It is also rust resistant. Aluminum material is resistant to the elements; even in extreme weather conditions, the cold weather can be maintained. Most people also prefer the material because of lightweight but this does not compromise on its sturdiness. Aluminum is also easy to paint. You can match the colors with your walls and roof. The cosmetic value associated with gutters is crucial for every type of home.